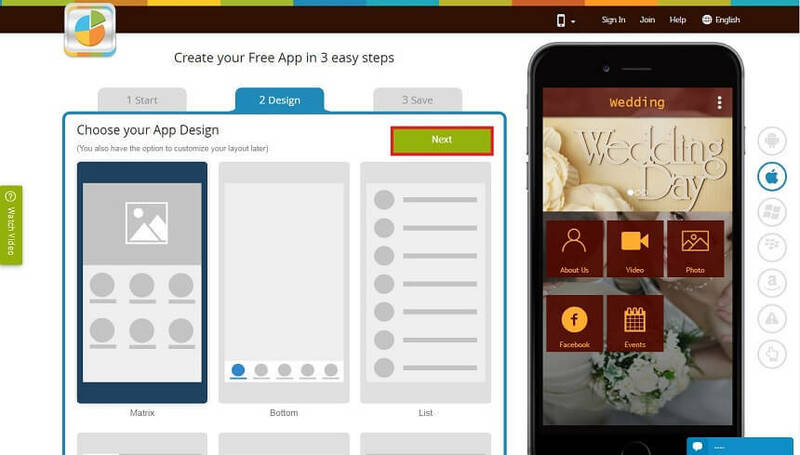 How To Build A Mobile App For Your Wedding Planning Business? 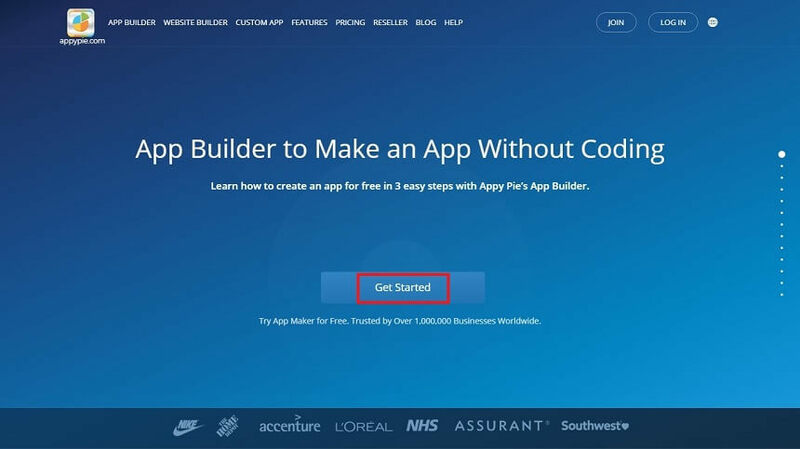 App Builder Appy Pie: This is a world where there is an app for everything and where everyone is looking for an app to solve their problems. 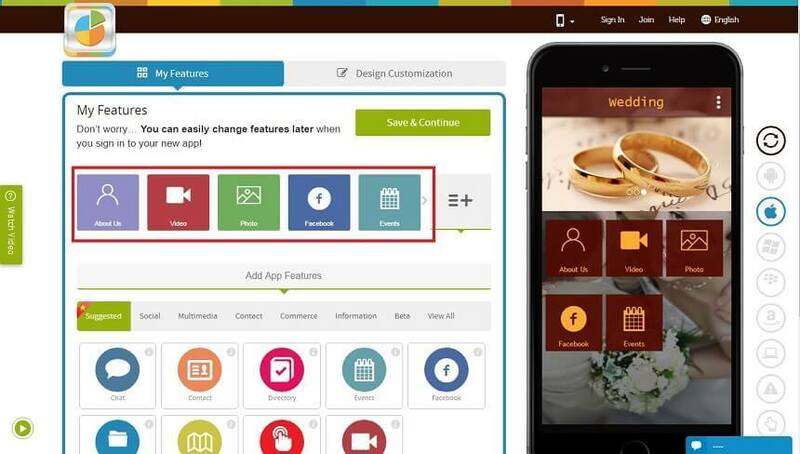 In this post we are going to talk about the top features you can include in a mobile app for your wedding business and how to build it. The customers today expect to do everything with an app and if a business does not offer an app, there is a chance that they are going to ignore it entirely. Think of a situation where you are looking for a service or a product, wouldn’t you prefer someone who has a mobile app of their own as compared to someone who doesn’t. Now if you are in the business of wedding planning then you simply must build a mobile app for it! There is a lot that goes into planning a wedding and you, as a wedding planner knows it best! The wedding day is the most important day in a person’s life. As a wedding planner, it is your responsibility to give them a memorable experience and to make the whole planning part a breeze! If you have a mobile app for your wedding planning business, the million things that are screaming for your attention can all be managed in one single space in an organized manner. When you have a mobile app to automate a good number of your tasks, you eventually end up saving a lot of your money and time. A lot many things like vendor management becomes easier because you do not have to individually call everyone for every detail wasting time and money, but just send out a message or post a comment on a common forum instead. The consumers of this era, especially the Gen Z has become aware of, almost accustomed to the comfort and convenience of online shopping. The brides of this generation do not have the time or the patience to go hopping from one store to the other looking for china patterns and deciding which silverware they are going to use. When you allow the app users an option to shop online, you are essentially offering them a gift of convenience, a gift of time, and a whole lot of mental peace. This can actually attract more people to your business as they use your app and start using your services while recommending you to others. When you have a single platform that can be used to keep all the information, contact numbers, guest list, things to do, and such things in one place, you are bound to bring in a sense of organization and logic to what can otherwise become utterly chaotic. In fact, you can organize and plan multiple weddings simultaneously from the same app, increasing your productivity and thus bringing in more revenue for you. Even if you are on one venue, you can easily organize another wedding remotely, without stepping out! All the details of the events can be put in one place, all the dates and times can be added on to the app, so that there is no confusion and no events are missed out. Also, it prevents any chances of double booking. When you have a clear itinerary in front of you, your wedding planning business can only benefit from the clarity and the whole process would get streamlined. A mobile app for your wedding planning business lets you have a calendar of your own where you can add the details of the event, and then set up reminders for all the important tasks that may need to be taken care of, immediately. The mobile app can improve communication between you and your team members, making sure that everyone is on the same page. Not only can you assign jobs to the right people but also receive an immediate acknowledgement from them as well. This way you develop a better grip on the situation as well. When you have an app, you can allow your customers to make their payments online. This adds a mode of payment for you to offer to your customers. This finally converts into an added value for your business bringing in higher revenue, faster, and in a better organized manner. When you have some happy customers, you can ask them to leave you testimonials, ratings on the app stores and even reviews. This would encourage more people to download your app and greater number of reviews would definitely help your app rank higher, increasing your app’s visibility. Now when you are on your way to building a mobile app for your wedding planning business, and especially if you are new to it, it can get pretty overwhelming. The first thing that you need to straightaway get to is deciding the right kind of features that you must include in your mobile app so that it is appealing to your customers and adds value to your services as well. We can help you do this by offering you a list of must have features that you need to make your app an instant hit among your customers and who knows you might even be able to bring in many more users to your platform and earn additional revenue! For your clients, the venue of the wedding is one of the first decisions to make. This is where the whole planning begins, with the selection of the venue. As you get your clients on board some of them would come to you with very specific ideas and would be sure of what they want. However, most of the clients would want to look at different options before they can decide where they want to have their wedding. This is why, for a good wedding planner’s mobile app, it is important to include a feature where you can showcase a comprehensive list of venues that can serve as prospective locations for your client’s wedding. Adding this feature would save a massive amount of time for you and more importantly for your clients as well. Let’s say you have a client who has shortlisted 7 potential venues for their wedding. Now, we are being a little conservative about the numbers and we are sure they would come to you with more! Now these venues would definitely not all be lined up right next to each other! In order to make a visit to each of these 7 venues, you would have to make 7 appointments with your clients and then drive them down to each one of them! How long do you think you are going to take to accomplish that? Add to that the walks you would have to take at the venue itself and then having a conversation with the representatives. Now after having visited each of these venues, what if the clients needed to revisit a couple of these venues again, because they can’t really decide! This would take up your time, the clients’ time, and the time of the vendor or representative of the venue. Also, your clients would probably have to miss work to do all of this, which might not be a great proposition for them considering the financial strain they already might be under! Now consider a scenario where they have an app which showcases all the prospective venues with a list of their offerings and inclusions, so that they can browse through all their preferred options at their leisure without stepping out of the comfort of their homes or even when they are on the move! Make sure that you add ample images and supply relevant information including the price, location, availability, area, facilities, and more! In this manner the clients would be able to narrow down the number of places they like without wasting a lot of time visiting them. This is a world that shares everything on social media. 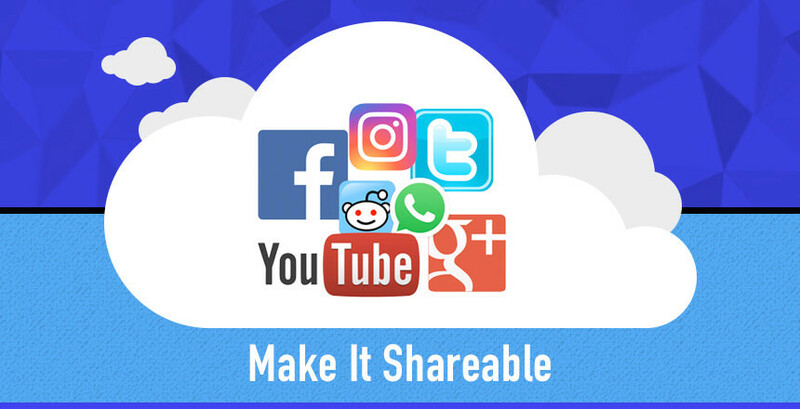 When you are offering your app, make sure that you integrate social media sharing, so that the clients can easily share their special moments on the social network. This way they can make announcements and put up any changes in plan through the app directly on to their social media pages, thus saving up on their time, becoming more engaged with the app. This would also give you a greater exposure on the social network giving you a word of mouth promotion (the best kind). To say that weddings are chaotic is a massive understatement. When you offer your clients an app, you are not only making yourself reachable, but bringing about a semblance of order and organization in their wedding planning efforts. Adding an itinerary feature allows the clients to create their own itinerary which they can share with you so that you can do as needed. Also, they can share these itineraries with their friends and family who are helping them organize the whole event. Everyone shops online today and brides have millions of things to buy before the wedding. The convenience of bringing boutiques on to your app is bound to appeal to the brides who do not have the time to go hopping from one specialty store or boutique to another! Online shopping for the wedding can be a huge time saver for the brides where they can see thousands of options for every one of their requirements right within the app. This is one of the most useful features that you can offer to your app users. When you have a directory of all possible vendors, including their location, contact details, and a list of their offerings for the customers and for you, it is going to shorten the time investment needed in planning the whole wedding. The one-touch call feature further simplifies the whole thing, making it easier for the clients to connect with the vendor without any hassles. This feature is as much for you, as for the clients as this ease in communication, comes in really handy when you are deep in the planning phase and are desperate for efficiency. This is a practical feature that can make the D-Day a lot less chaotic for the whole wedding party. No one wants to get millions of calls on the day of the wedding from the guests who simply can’t find the wedding venue or are completely lost, even worse have reached a completely different location with the same name. 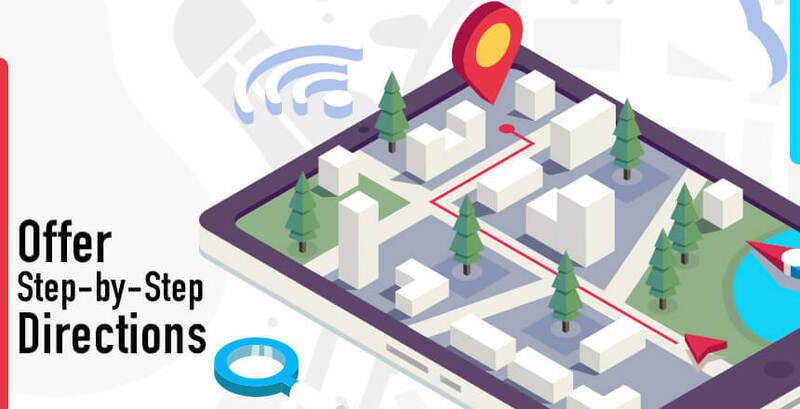 Adding GPS navigation into your app would ensure that your clients can send these directions to all their guests and they can follow the step by step directions to reach the right venue without a glitch or a call for help! Now Comes The Fun Part! 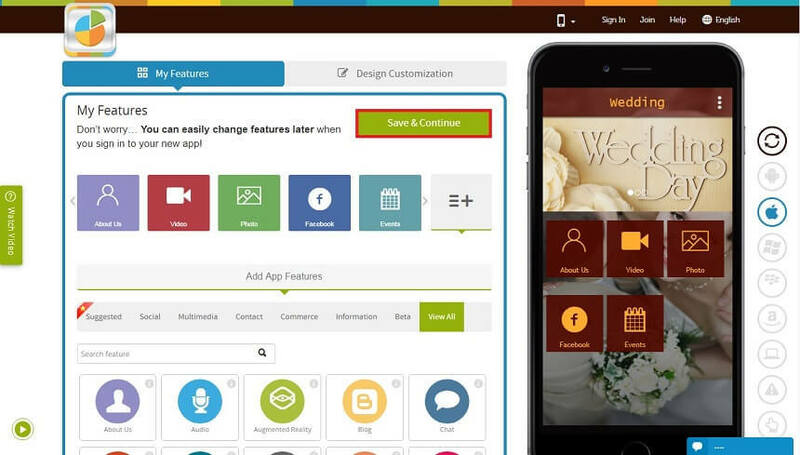 Build Your Own Wedding Planning App with Appy Pie! 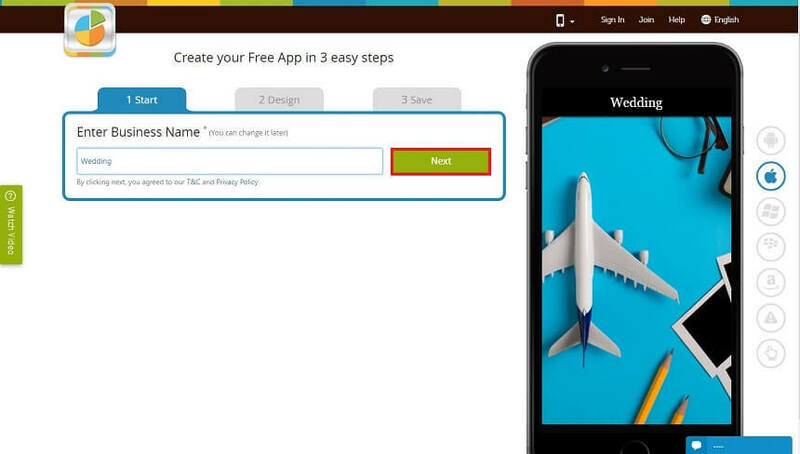 Appy Pie’s app builder does almost all the work! 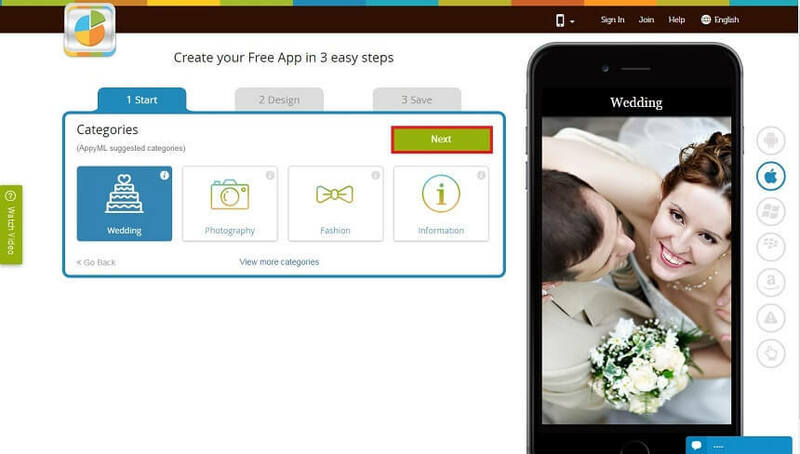 All you need to do is follow our step-by-step tutorial for building your wedding planning app and make your own app without any coding or programming skills! 11. Your app would be ready in a jiffy all set to be published to the app store of your choice! What’s stopping you from getting started now! 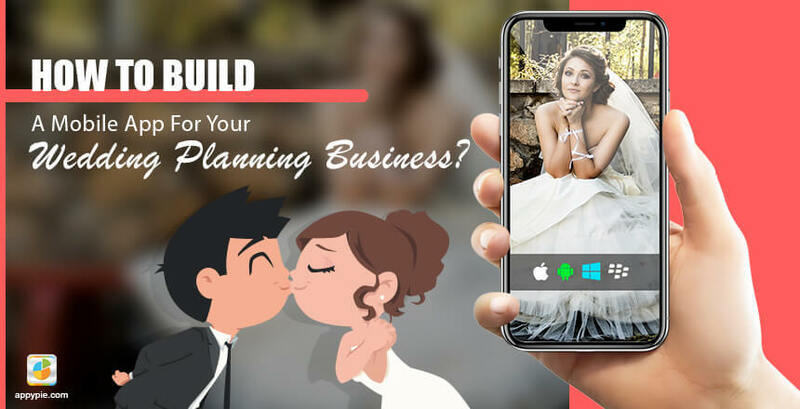 Get going with building your own wedding planning mobile app and take your business to a whole new height! 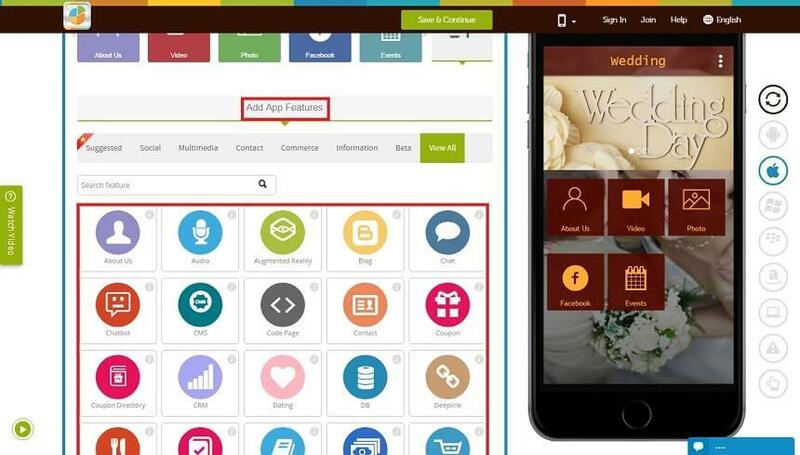 Why Do You Need Mobile App for Your Wedding Planning Business? How to build an app that appeals to the Gen Z? 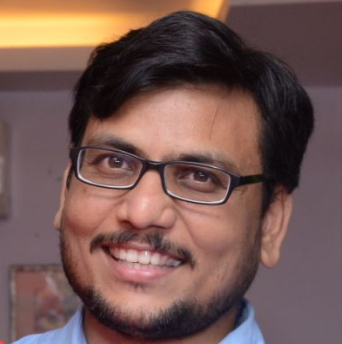 Vivek Srivastava, co-founder, Appy Pie, is a digital analyst and writes extensively about website and app promotion. He has over 8 years of experience in outbound and inbound digital marketing, website analytics, social media, conversion rate optimization and business analytics. Before entering the Digital arena, Vivek covered technology news for TV channels, Local Newspapers and Radio Channels. He also has a keen interest in music and he enjoys playing music instruments. I want to create like social app like line or facebook. Can we do this?